Tyler Lessard and Joe Gelata of Vidyard presented to a packed house at this month’s Strategic Marketing P2P. Their topic: Demand Generation and Revenue Operations. Vidyard have justifiably received a great deal of attention over the last few years, both for their growing success and their advocacy for and involvement in the local community. I’d seen their CEO, Michael Litt, speak at a previous P2P, so I was looking forward to this one. I don’t think anyone in the crowd was disappointed, as Tyler and Joe delivered an insightful, entertaining session that had something for everyone. About Vidyard: (from website) As the world’s leading video marketing platform, Vidyard can show you exactly how viewers interact with your videos. 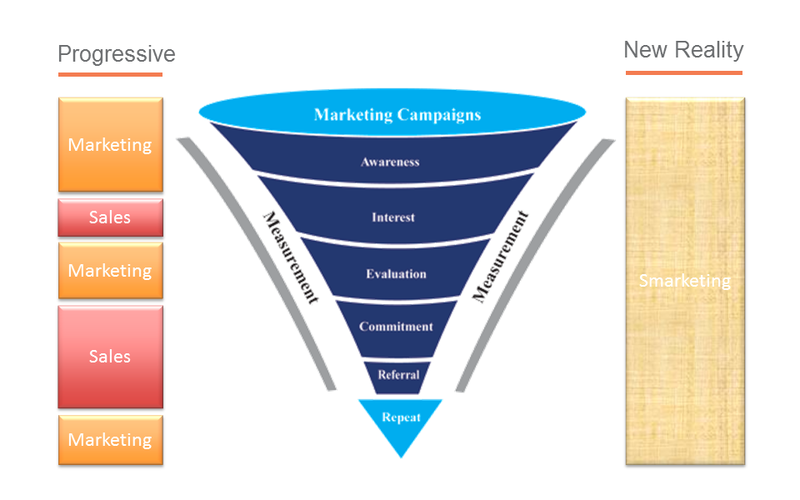 This means you can continuously improve your marketing strategy based on measurable results. Along with hosting your video content, Vidyard reveals who’s watching your videos, and for how long with detailed viewer analytics and engagement data you can push directly into your MAP and CRM. Tyler started off by saying that first stage of the marketing funnel isn’t what we might think; instead, it’s actually denial. Denial that we can do things better. 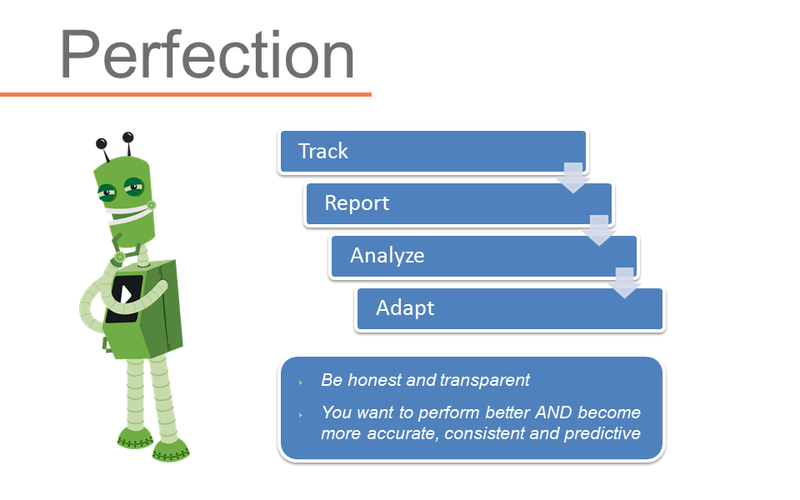 Throughout the presentation I got the sense that this perspective has had a big impact on how Vidyard approach their marketing programs, and has them vigilant for improvements. Vidyard are a B2B company, so they understand the need for focused campaigns that have the potential to meaningfully move revenue. That said, unlike many B2B companies who have annual or quarterly targets and reviews, Vidyard operate with a monthly mindset, and review their dashboards and metrics frequently to make sure they’re on track for the monthly growth targets and investigate and intervene if something seems amiss. Tyler pointed out that this approach – being constantly vigilant – has a significant influence on how they run their demand generation programs. 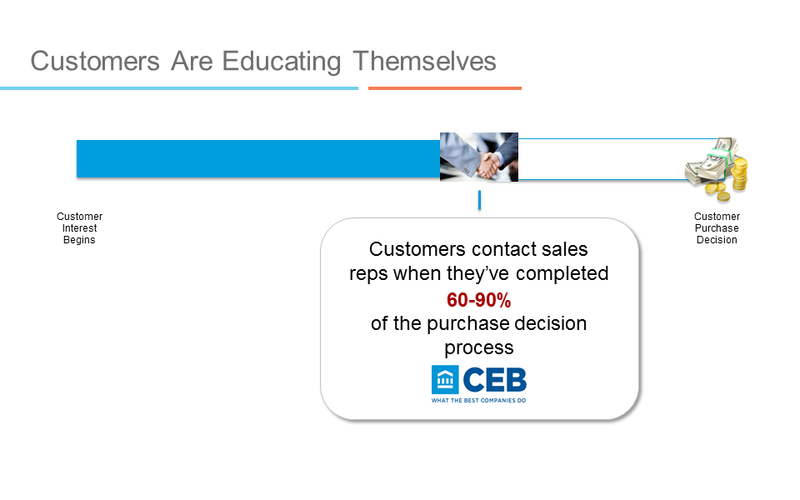 To segue into the next part of the presentation, Tyler shared a stat that reiterates what many B2B marketers already know: customers are educating themselves. And, echoing something I’ve been known to say at work, he talked about how customers don’t go searching for Vidyard; instead, they search for information. If the information they find comes from Vidyard (who invest heavily in video marketing educational resources and thought leadership), and is valuable enough, then those people are more likely to engage with Vidyard when they’re ready to speak with a vendor. …but that’s not all. In modern B2B, the lines between Sales and Marketing functions are blurring. This means that leads often get ‘touched’ by each team, alternately; in the most extreme cases, you can consider the two teams as jointly fulfilling a “smarketing” function. 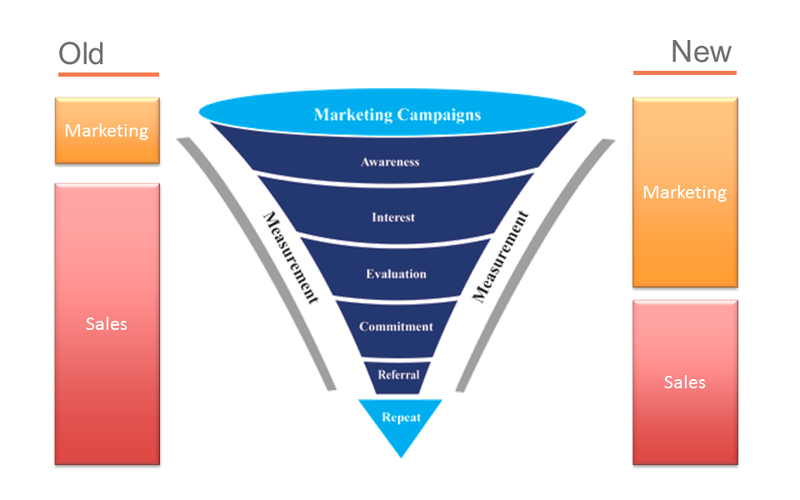 In order for the modern funnels to work, there must be very tight alignment between the sales and marketing functions. Of course, you still need markets and sales reps with different incentives and leadership, but you should still recognize that roles and responsibilities are blending to a certain degree. You’ve already met some of the characters involved: Michael, Tyler, and Joe. Oh right, we haven’t talked much yet about Joe. Joe is Vidyard’s smarketing champion, and brought to the company a wealth of marketing automation experience. Early on, Joe pitched Vidyard’s executives on the importance of investing immediately in marketing analytics, processes, and platforms. At the time – running on Series A financing – it was a hard sell. In fact, at any time it’s a hard sell: the tech community is full of companies who just can’t seem to find the value in or budget for marketing automation platforms. These same companies struggle to measure the effectiveness of their marketing programs, so are doomed to constantly stab in the dark. The tech community is full of companies who just can’t seem to find the value in or budget for marketing automation platforms. Thanks to Joe’s effective pitch, and to the leadership team buying in and driving the vision company-wide, Vidyard got a headstart. That meant they had the strategic luxury of building their marketing and sales organizations around a predetermined strategy, rather than trying to shoehorn people into specific roles and functions later on. I can tell you both from my own experience and from the experiences of my friends in the industry that this level of organizational alignment is a rarity. Joe’s advice is to focus on the long-term vision, about how investing early lets you measure effectiveness from your earliest efforts – and your earliest efforts are often the most crucial to get up and running. Further, you have to be able to show how these tools and processes will evolve over time – that this is an investment in the future rather than a one-off technology purchase. We didn’t spend too much time on the Platform component; Tyler just quickly covered what marketing automation and CRM tools they use. There weren’t any surprises. Tyler and Joe spent quite a bit of time explaining their processes. I won’t replicate the slides here, because I don’t want to reveal anything internal to Vidyard, but the general processes and workflows were pretty standard. I think what sets Vidyard apart from the crowd is the maturity that they have around campaign execution (“Programs”) and lead scoring. They’ve got some pretty advanced stuff going on with the latter, to determine which factors our of the 50 or so contributors associated with any given lead provide the best indication of future revenue. The guys explained how “structured campaigns are key to lead generation,”, and showed examples of some past campaigns that illustrated the very targeted messages upon which they rely to generate leads. Vidyard’s processes are, ultimately, all about reaching and identifying the hottest prospects and those with the highest propensity to convert. A final piece of advice on the topic of processes: don’t try to optimize all the layers at once; instead, go layer-by-layer. Moving beyond the examples they already shared, Tyler and Joe spoke in general terms about the programs that drive the Vidyard revenue engine. There’s nothing groundbreaking here, and maybe that’s the point: that traditional programs (e.g., email marketing, events, content marketing, webinars, SEM, partners) are effective, provided you’ve got the processes and execution in place. …and remember that opening point about denial? You have to be as open and as objective as possible if you want to keep improving, because your work is never done. Thanks to Tyler, Joe, and the Communitech Strategic Marketing P2P folks for another great session!